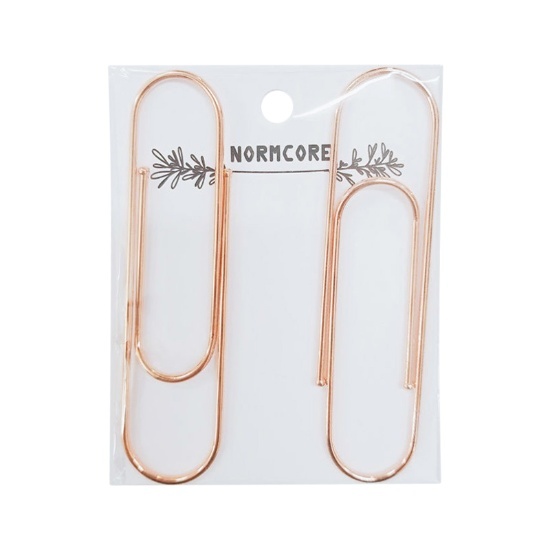 Featured here is a set of two jumbo paper clips for holding documents together. They are made of steel with rose gold color finish and have smooth edges. The paper clips can keep your documents organized and is excellent for home, school and office use. Set of two 4" x 1" jumbo paper clips. Excellent for home, school and office use.